You better keep food safe before reaching Your client! 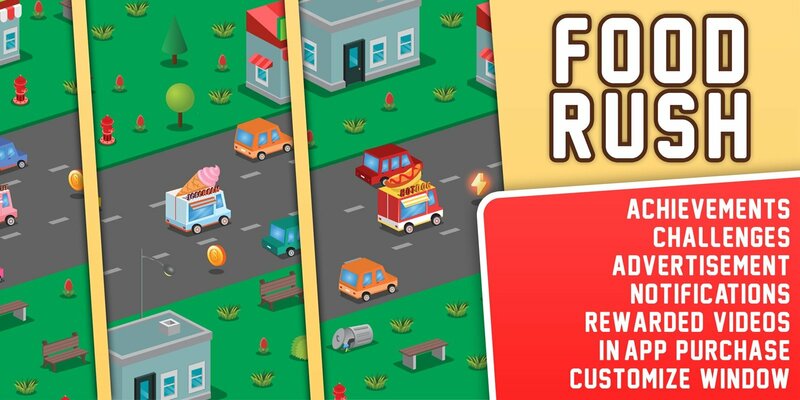 Food Rush – is a complete Unity 3D mobile game project that is ready to be launched in Android or iOS game store. This project has all newest game components. Each car is fully animated and has particles. Game has integrated achievements, challenges, advertisements, leaderboards, in-app purchases and a lot of more components that will help to keep the audience interested to play the game, but the most important, this is the first game with our newest customizable editor window addition which helps to modify the project as you want without any struggles. Game is created using Unity 3D engine so it’s really easy to change every aspect of the game and launch it on different devices. To launch game no coding required, but if you want to change specific game parts you can always do that because all scripts is fully commented with explanation what each line of code does. With this asset you will get fully completed documentation which has more than 50 pages of steps how to setup and prepare your program for launch. In conjunction, you will get 13 online video tutorials how to modify the whole project. Achievements – it is an essential part of the game. Food Rush has integrated native achievement system and has more interaction with the player. Modification – all achievement parts can be changed using customize window: names, icons, descriptions. There are no programming skills required to modify or delete default achievements. If you want to add new achievement, you have to implement only one line of code in to the game code which is really easy because all our scripts are commented. Challenges – lets player to compete not only for the better score, but also do different missions and get rewards if challenge is completed. Modification – all default challenged can be edited or removed from the game using only customize window where you can change each challenge information. To add new challenge, there is only one line of code that has to be implemented into the right script which is really easy because all our scripts are commented. Advertisement – game has implemented Unity Ads and AdMob advertisement. There are three different ad formats. Banner – is shown at the bottom of the screen. Interstitial – by default is shown when player dies. Rewarded videos – where player can choose if he wants to watch an ad and get bonus life or bigger reward. Ads are implemented in places where player wouldn’t be disturbed and interfered with the gaming process. Modification – all advertisement preferences can be changed using customize window. You can choose when to show up ads and if player can get bonus reward for watching an ad. Gifts – there are two types of gifts integrated into the game. Game gifts – where player has to play for certain time in order to get gift. Daily gifts – player will be prompted to come back into the game every day in order to get gift. Also, if player has Internet connection, he can watch ad in order to get bigger reward. Modification – using customize window you can change each gift timeout, how big reward will be and enable ad rewards. In-App Purchase – project has advanced In-App Purchase system where player can buy game coins or remove ads. Non-consumable products can be purchased only once. iOS platform has integrated restore purchase button in the settings menu. Modification – product prices can be easily changed using customize window. Leaderboards – game has integrated leaderboards system which shows how many points player has and in which place he is between another players. Leaderboards are cross-platform so all result are same on different platforms and devices. Modification – leaderboards can easily be enabled using customize window and you can select how much scores you want to display in leaderboards list. Notifications – Food Rush has two types of notifications that encourages player to come back to play the game. Reminder Notifications – are showed after player didn’t played game for a certain time. Daily Gifts Notifications – are showed when daily gift is ready to be collected. Modifications – you can change notification timeout, icons, titles and messages using customize window without any programming skills. Customize Window – It is our first project where we have implemented our customize window which was created specially for you! In order to speed up program modification and launch time more than 5 times! Because now you don’t have to manually search places where you want to modify game components. It’s the essential part of the project where you will spend most of the time while editing the game preferences. Here you will find all game components: achievements, challenges, advertisements, gifts, in-app purchase, leaderboards and a lot of other settings that can be easily changed without any programming skills. 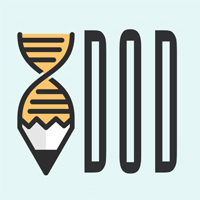 Scripts – Each script is commented and easy to read. We know that the hardest part for newbies will be understanding our project codes. That’s why we tried to explain each part of the game code as much understandable as we could. Sounds and Music – game has implemented sounds and music that changes randomly according to what player is doing. Modification – you can change each sound in game and select your preferred ones. Also, music can be selected randomly and played with or without loop. Bonus Life and Reward – after crashing player has a chance to get a bonus life. If player watch an ad game will be restarted with the current amount of score. Or player can get bonus reward in which player can watch rewarded video and get more coins. Modification – using customize window you can change on what chance player will get bonus and how much coins player has to collect in order to get bonus reward. Sprites – everything in the game was created by our artists who took a lot of time in order to draw each image. Modification – each sprite can be changed in couple minutes. You can easily add new player/traffic/environment sprites and everything in the game is updated dynamically. Performance – each object in the game changes dynamically and every time appears in new position. We created a fast spawning model so that all objects are loaded at the start of the game, because of that the whole game process is smooth and without any frame drops.